Tim Burton’s Alice in Wonderland was a weird little film. While I didn’t hate it, it wasn’t my favorite film of all time either. When I heard there’d be a sequel, I was a little skeptical as to what Disney could do to bring me back to the theaters. At the D23 Expo, they hooked me a little bit. Mia Wasikowska, the actress behind Alice, came out and explained that Alice Through the Looking Glass would return the character to a time-traveling adventure to save The Mad Hatter. The next installment will be something of a sequel and a prequel, as Alice travels back through time to help out the Mad Hatter (Johnny Depp). Aiding Alice in her quest will be Time him/itself, a half-human half-clock creature played by Sacha Baron Cohen. Also joining the fun will be Rhys Ifans as Zanik Hightopp, the Hatter’s father. We also got these funky looking posters. I like the dichotomy of the images, with the Hatter going one way through time while Alice travels the other way. 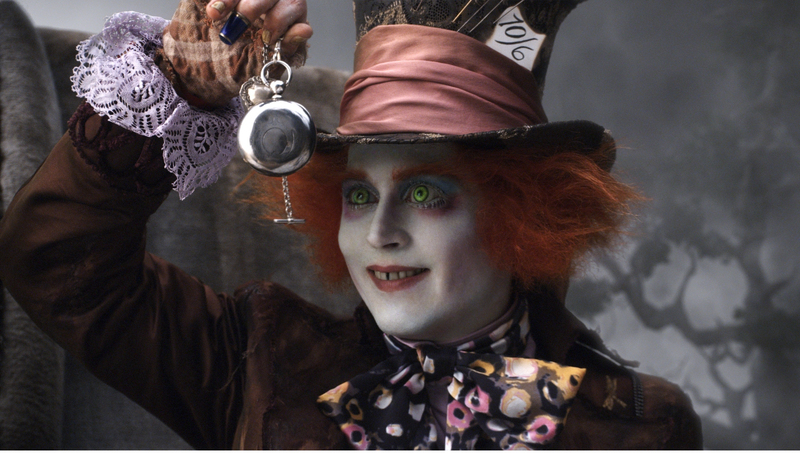 Alice Through the Looking Glass is set to hit theaters May 27, 2016. This entry was posted in Breaking News, Film and tagged Alice in Wonderland, Alice in Wonderland: Through the Looking Glass, Alice Through the Looking Glass, Anne Hathaway, Disney, Helena Bonham Carter, James Bobin, johnny depp, mia wasikowska. Bookmark the permalink.